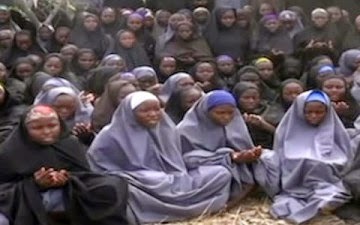 The people of Chibok on Friday said President Goodluck Jonathan was not sincere about the search for their daughters abducted on April 14, 2014 from their Government Secondary School. The town spoke through the spokesman of Kibaku community, Dr. Allen Mannaseh. They expressed sadness that the federal government had not been able to bring the girls home 277 days after they were abducted. To make matters worse, the president said nothing about it during his visit to Maiduguri on Thursday, according to Thisday. In an unexpected visit, Jonathan was in Maiduguri on Thursday, where he checked on the Internally Displaced Persons (IDPs). Thursday’s visit was the first time the president would visit Borno state since the abduction of the girls. Boko Haram attacks have intensified in the state in recent times, with hundreds killed in Baga and Doron Baga on Jan. 3. Thousands have been killed by the terrorists since their campaign of violence began in 2009.